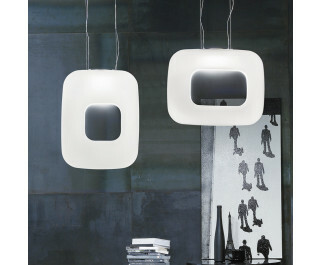 The Dos SP Pendant Light by Vistosi has been designed by Roberto Maci. A collection of retro-inspired lamps with a satin hand-blown glass structure. A stunning decorative yet functional piece suitable for both contemporary and traditional interiors. This beautiful light was created on the island of Murano. Each light comes with a certificate of authenticity. This unique design will add ambiance to any decor.